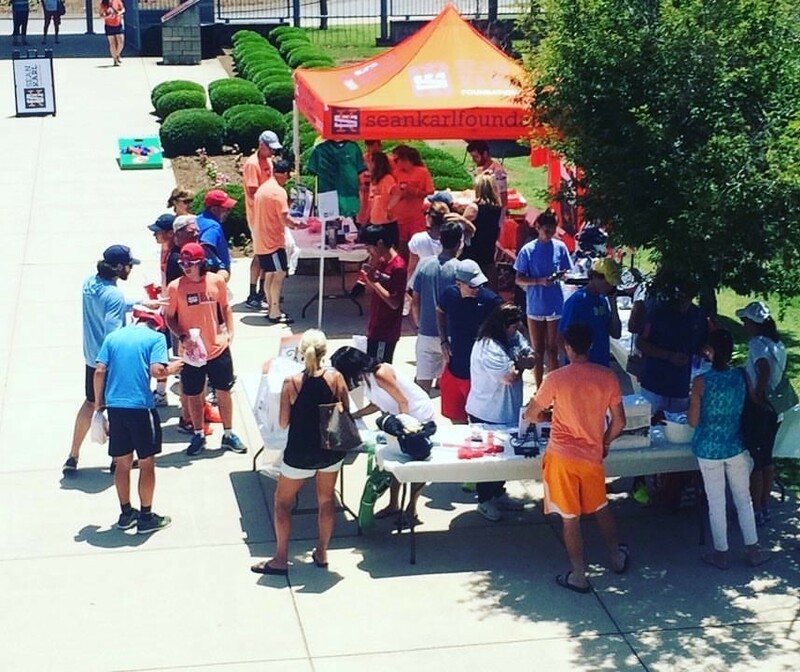 On June 1-3, 2017, the Sean Karl Foundation held a weekend filled with events in conjunction with the USTA 18’s/16’s Tennessee State Junior Qualifying Tennis Tournament in Chattanooga, Tennessee. Our inspiration for this event came from the combination of two things very near and dear to Sean. Junior tennis was such an integral part of Sean’s time growing up, and he had an unrelenting pride for the state of Tennessee. It seemed only natural that we take part in this tournament, and after the dust settled, we are proud to announce that we raised over $15,000 for the Sean Karl Foundation! Every penny of this will go directly towards a research grant to fund promising Ewing Sarcoma research. 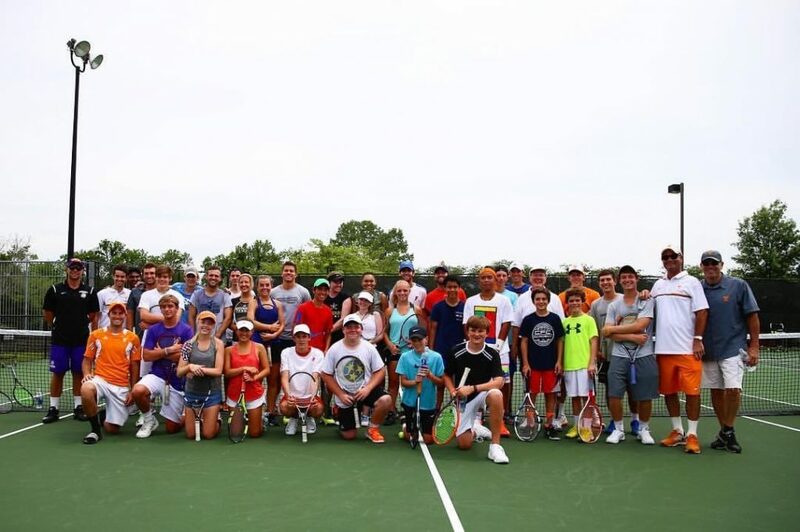 On Thursday, we invited current and former college tennis players to hold a clinic for the tournament players and Chattanooga community. We were also joined by Chris Woodruff, Head Men’s Tennis Coach at the University of Tennessee, Ben Testerman, Men’s Volunteer Assistant coach at the University of Tennessee, Ty Schaub, Women’s Assistant Coach at the University of Tennessee, Ryan Lipman, Men’s Assistant Coach at Auburn University, and Felix Mann, Associate Tennis Coach at Sewanee, at the clinic where they encouraged and instructed everyone there. On Thursday evening, Felix Mann and Ryan Lipman served as coaches on a college tennis forum. The college players from the clinic also participated, and we hosted a Q&A session with parents and tournament participants. We had some awesome questions which led to many insightful discussions with input from every perspective ranging from SEC and Division I National Champions all the way to Division III. Friday was our Orange Day where we encouraged everyone to wear Orange in support of the Sean Karl Foundation. We were blown away with the sea of SKF shirts we saw the whole day! It was truly humbling to see so many people rally behind what we were doing! Check out our Facebook page to see all our pictures of people supporting the Sean Karl Foundation! Finally, on Saturday we had a fully packed day! At 2 pm, we closed our silent auction. The auction was a tremendous success, and so exciting in the last fifteen minutes watching the competitive juices start flowing from our bidders. We then hosted a doubles tournament, and are proud to announce our winners, Ray Roddie and Bryce Curry. For winning our tournament, they got to participate in our professional exhibition later that evening! Congratulations, Bryce and Ray! Our final event was our Pride of Tennessee Exhibition on Saturday night. We were thrilled to have three players who have all won professional tennis events participate, as well as two of the best college players in recent memory from the state of Tennessee. Bobby Reynolds (Vanderbilt University) took on Maxx Lipman (University of Florida) in our singles portion. Then Hunter Reese (University of Tennessee) and Bobby took on Ryan Lipman (Vanderbilt University) and Sydney Campbell (Vanderbilt University) in our doubles competition. Ray Roddie and Bryce Curry then got their choice of who they wanted to take on in a doubles tiebreaker, and they selected the Tennessee Legends, the Lipman Brothers. 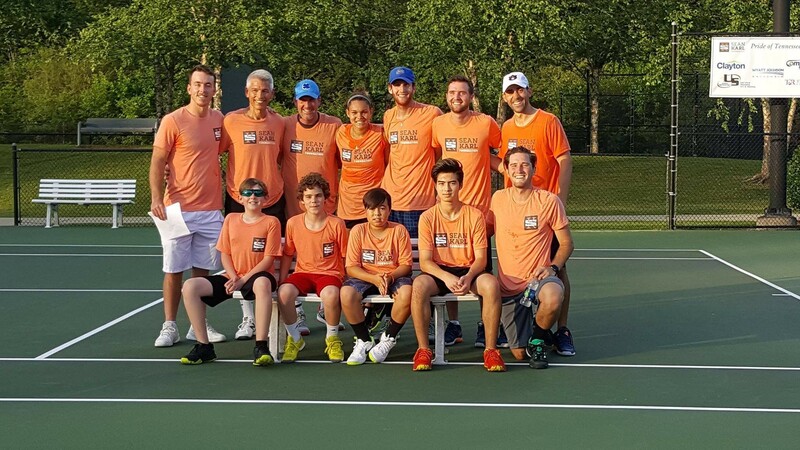 Thanks to everyone who supported SKF during our Pride of Tennessee event…we had a blast and look forward to seeing you around Tennessee and definitely, on the the courts!